Danish energy technology exports to the United Kingdom reached an all-time high in 2017. Exports worth 2.5 billion EUR in 2017 made UK the most important export market for the Danish energy industry. Although exports have fluctuated, the trend is upwards – with a tenfold increase from 2005 to 2017. 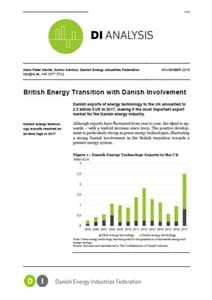 The share of green technologies herein was 67.5 per cent which is the highest green share of all the top ten export markets, illustrating a strong Danish involvement in the British transition towards a greener energy system. The exports of green energy technology are mainly driven by the exports of wind turbine components. However, several product groups in the energy industry have reported a positive market development in the UK in 2017. Other high-ranking product groups are pumps and compressors as well as engines and generators. The UK is the largest recipient of Danish FDI within utilities. By the end of 2014, the Danish stock of Foreign Direct Investment (FDI) in the UK amounted to 16.6 billion EUR. 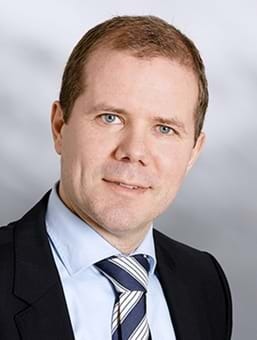 With a stock of 5.5 billion EUR, utilities amounted to 33 per cent hereof. This investment mainly covers wind farms, particularly offshore, as well as several other energy plants. The total stock of Danish FDI abroad within utilities amounted to 7.3 billion EUR of which the UK accounted for 75 per cent. British and Danish authorities collaborate and share best practices in the field of energy. The Danish Energy Agency and the Danish Embassy in the UK undertake a co-operation programme jointly with Danish organisations, businesses and other stakeholders to enhance the dialogue and partnership with British authorities and stakeholders in the field of energy.